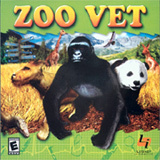 Zoo Vet introduces players to life at the zoo and gives them the ability to care for a diverse group of animals while interacting with entertaining characters. Being a zoo vet is an adventurous and exciting job, as the players will soon find out as they watch a baby flamingo take her first steps and stick their heads in a hippo's mouth! 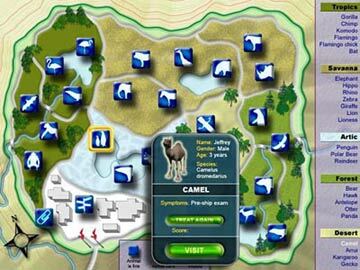 Players travel around the zoo performing check-ups on cuddly otters and dangerous lions, and treating wobbly penguins and hyper zebras. They gather vital facts about each animal by talking with the zoo keeper and team up with a vet tech to use the examination tools for investigating an animal's mysterious ailment. 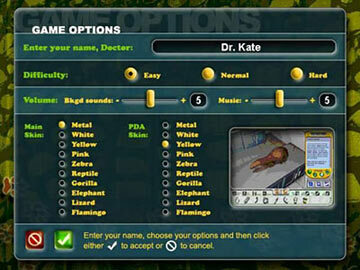 In an emergency, the players will jump in with their treatment tools and rescue the animal from a harmful condition. 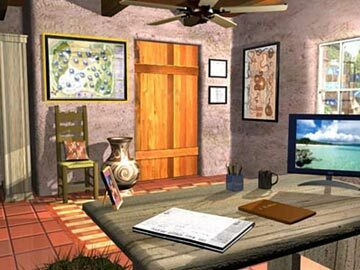 The players can also take advantage of the features in their office, such as learning about amazing animal facts and downloading screensavers to their desktops. As the players become more knowledgeable and successful vets, they'll earn awards and praise from their fellow team members, and rise in ranks to become the zoo's most valuable vet!